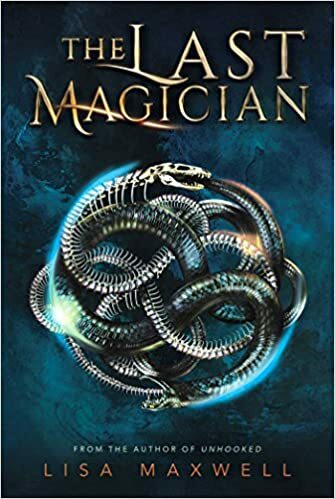 I FREAKING LOVE THE LAST MAGICIAN, AND THIS COVER WITH ALL MY HEART!! The plot is well done, the characters are flawed and wonderful to read, great world building. The Last Magician is a fast-paced book that had me on the edge of my seat the entire time. Told from 3 POV: the main character, Esta, Dolph Saunders- the gang leader, and Harte Darrigan- magician. The Last Magician follows Esta’s journey into 1900 New York City, to steal a book that could save all the Mageus from extinction. Surrounding Manhattan is the Brink, a magical barrier trapping all Mageus in the city. Any Mageus trying to leave risks losing their magic and usually their life. What I enjoyed most was the magic system and how magic ruled the 1900s in NYC. Persons with magic are Mageus hunted for years by the Order, a secret society trying to eradicate raw magic while also seeking power from ritual magic. Each Mageus’s powers were very different. This talent wasn’t like power over an element or extra strength, stuff like that. No, these powers were so unique and special to each person. This unique world building was one of my favorite parts to read. The 1900s were run by gangs as well as the Order, and you really got a sense of what life was like in Manhattan at the time. My girl Esta was just an unbelievable character. Her magic was something I had never heard of before, the ability to slow down time. Yes, she could time travel, but only with the help of magical artifacts and even then it was a difficult thing to do. Esta was smart, strong, and a great thief. She could pickpocket almost anyone. It was thrilling to read about her time in the 1900s. Women were a little more submissive and Maxwell does a great job of showing Esta’s integration into the past. Esta was still a witty, fierce character who was able to distinguish herself as someone who could be trusted while also stabbing you in the back. Man, do I wish Harte Darrigan was real, sigh. I will be fangirling over Harte for years to come. I’m never a fan of inst-love, I think it’s just too much for me. But The Last Magician takes slow burn romance to another level. Two sides of the same coin, Harte was a brilliant foil for Esta. A magician on stage and a Mageus of persuasion, Harte was able to lie his true intentions to pretty much every character. His deception POV was insane and I loved any minute of it. The Last Magician is a great story about deception and is deceiving someone really bad if it’s for a good cause. If you’re a fan of morally ambiguous characters, time travel, gangs, magic, and twists and turns, The Last Magician is right for you. I definitely recommend this to fans of The Six of Crows, and Ace of Shades.